My daughter makes it known (daily) that she only has about a week left in school before she’s finished. She likes stating that she (as a senior) finishes before the rest of the school. That means I only have 8 more school days of taking her to school. I’ve been driving her to school for the past couple years. That’ll be weird to not have to do that anymore. Hey, it’s an aerial shot of a school that’s not Handley! 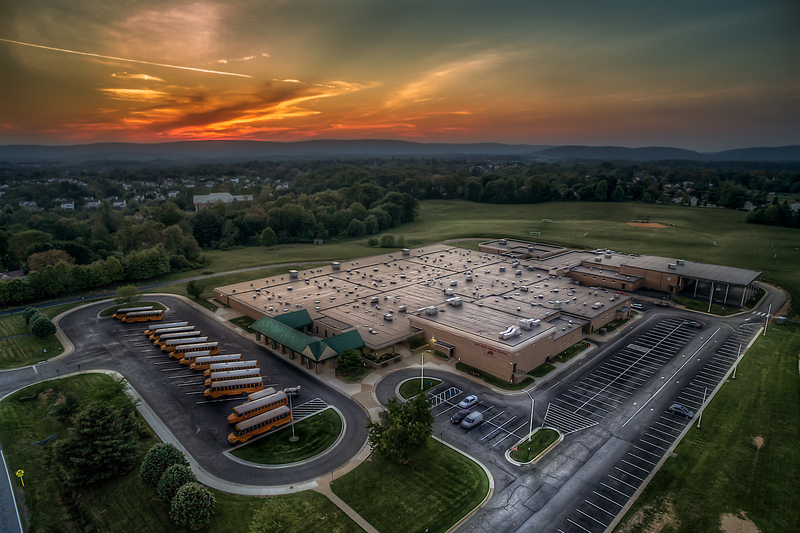 This is Blue Ridge Middle School in Purcellville, VA.